It's an experience in itself. It might take a while, specially if you get caught in rush-hour traffic, but it gives you a real taste for what life in NYC is really like! It seems nobody obeys traffic rules in New York, and cab drivers are no exception. Fares are fixed at 52 dollars (plus Tolls) for rides to Manhattan, so you know exactly how much you'll be paying before you even get in. 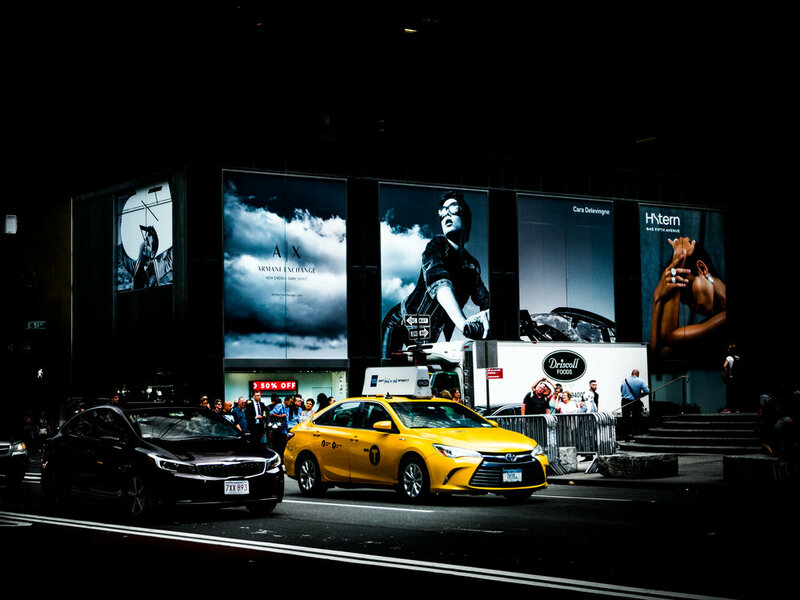 If sharing a cab, it really isn't that pricy, and promises to offer you your first bit of excitement on arrival in the City of Dreams. Without a doubt one of the best views of the city! The Top of the Rock Observation Deck offers some of the most stunning views available of the Manhattan skyline, and of course is one of the few buildings that has both the Empire State Building and the Freedom Tower in it’s sights. Pro Tip: at the Top of the Rock you can stay up at the top for as long as you like, so head up there around 45 minutes before sunset. You’ll get a daytime, sunset and nighttime experience all in one! Ahh, the classic! What trip to the Big Apple would be complete without a tour of the Empire State? 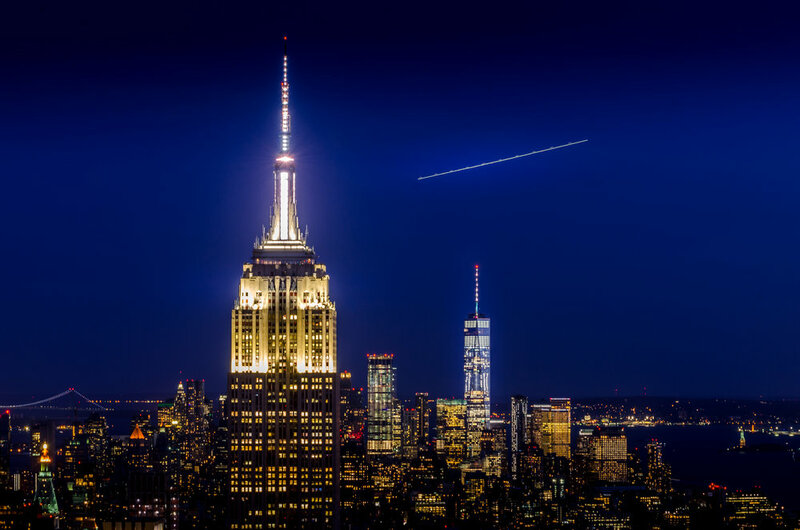 It's an unforgettable experience, from the walk through the history of the Empire State and NYC, to the elevators to the top and the magnificent views once you're there. Open topped, the 86th floor gives you the chance to feel the fresh summer breeze on your face as you look down on the surrounding buildings and Central Park. And of course you can't forget the recently finished Freedom Tower. Then again, it's hard to miss it! Pro Tip: In my personal opinion, the trip up to the 102nd floor isn’t all that worth it. After all, 86 floors up you’re already going to be above the skyline and will be able to see all the surrounding buildings perfectly. Located on the 100-102 floors of the Freedom Tower, the One World Observatory is now the highest observatory in the city, and offers stunning views ranging from Uptown Manhattan to the Brooklyn and Manhattan Bridges, and from the Statue of Liberty to New Jersey. The views don't really get any better than this. And of course, you also get the experience of summiting the tallest building in the Western Hemisphere! Without a doubt one of the most incredible experiences in New York City, visiting the 9/11 Memorial and Museum is just a must. Wander through miles of hallways lined with one of the most important parts on the history of New York, America, and even the World as a whole! Admittedly, you could just take the subway over to Brooklyn. It would probably be quicker and easier. But walking across the Brooklyn Bridge let's you experience it from a completely different perspective. It has pretty great views to offer, and is a must-do part of any trip to Brooklyn. Take the opportunity and make it a round trip by visiting DUMBO and the Manhattan Bridge while you're at it! Down Under the Manhattan Bridge Overpass. The name says it all. It's perhaps one of the most iconic sights of NYC. The Empire State Building lines up perfectly with one of the “gates” on the Manhattan Bridge and makes for an incredible view and even better photos, which you've probably seen all over Instagram. It's well worth the trip down there, even just for the shot, but when combined with a walk over the Brooklyn Bridge and a stroll along the waterfront in the Brooklyn Bridge Park, it makes for a lovely morning or afternoon trip! Pro tip: the trick also works for the new Freedom Tower. As you approach the gate and reach the Brooklyn Bridge Park, follow a small footpath to the right side of the bridge leading to the waterfront. Keep up your eye on the bridge as at one point the tower will be visible through one of the arches on the gate! Feeling a little stressed out with all the rushing around from place to place. Take the afternoon off and go for a stroll around Central Park! It's booming with life pretty much any day of the week, but on weekends, many locals gather for their weekly intake of sport and fresh air. Local league matches in softball, football (or soccer, whichever you prefer), tennis, etc. really give you a sense of community and let you see the other side of life in New York. The experience of a lifetime! Broadway is scattered with up and coming stars, all putting in breathtaking performances four or five times a week, every week. I don't think there is any such a thing as a bad show on Broadway, but "A Bronx Tale" has to be a personal favourite. It's funny, it's happy, it's sad, it's a little bit of everything. Though best hurry, as the show has announced it will be closing on August 5th 2018! A little retreat from the busy New York City streets. The High Line is an almost 1 and a half mile long section of the former New York Central Railroad that has been transformed into a beautiful walkway surrounded by lush greenery and eye-catching architecture. It's just the perfect place to spend a chilled out afternoon! 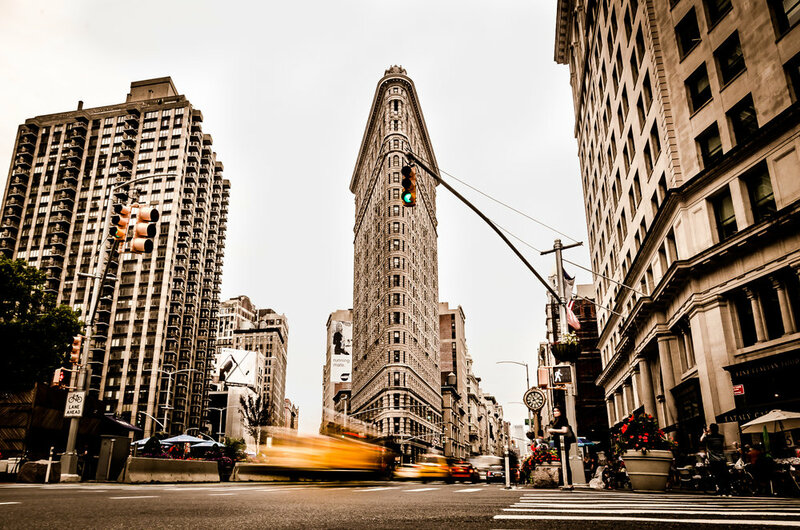 Want to feel like a real Newyorker? Use the Subway! It's without a doubt the cheapest and most convenient way of getting around Manhattan! Not much needs saying about the Statue of Liberty, does it? And of course, get the chance to visit the historic Ellis Island Immigration Museum while you're at it as both islands can be accessed for near the same price through Statue Cruises ( and the museum is free)! At the junction of Broadway and Seventh Avenue, it ranges from West 42nd to West 47th Street and is sometimes referred to as the "Crossroads of the World". Take the opportunity to visit one of the busiest tourist attractions in the world ( with over 50 million visitors annually). You'll certainly be impressed by the livelihood of the streets and the hundreds of bright billboards and advertisement boards that decorate the streets from the ground to the roofs of the buildings! A must see attraction in NYC, this beautiful building is perhaps one of the most recognised pieces of architecture in the world. Mind blowing from every side, it makes for some beautiful travel photos! It's way more than just another train station: it's a US National Historic Landmark. It's one of the world's most visited tourist attractions with over 20 million tourists a year (that's excluding travellers). And there's no doubt that is mostly due to it's stunning architecture and interior design, particularly in the Main Concourse! 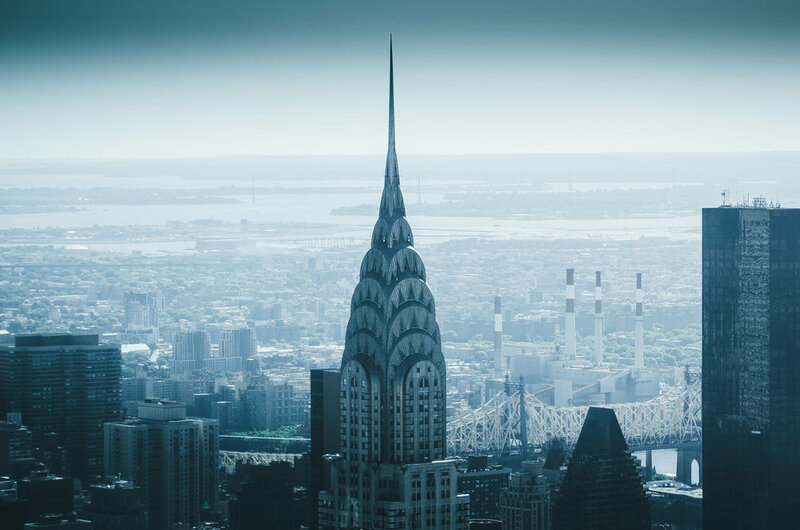 Once the tallest building in the world, the Chrysler Building is one of the most iconic skyscrapers in the Manhattan skyline. It’s beautiful design makes it unique and as of 2018 it is still the 6th tallest building in New York City. Unfortunately, you can't go up it, but it's well worth staring at for a while! A great retreat from the hectic Manhattan day to day life! Buzzing with locals during lunchtime and weekends, It’s a great place to chill out whilst taking in some incredible views of the city and it’s skyscrapers. Grab a coffee or a juice in one of the nearby shops and find a seat or simply lay down on the grass. It also offers pretty good views of the Empire State Building which overlooks the park. Probably a second home to most students in New York City, the New York Public Library might just be the quietest place in the city. But it's not just frequented by students! It's also a landmark and tourist attraction thanks to its beautiful decor and architecture! 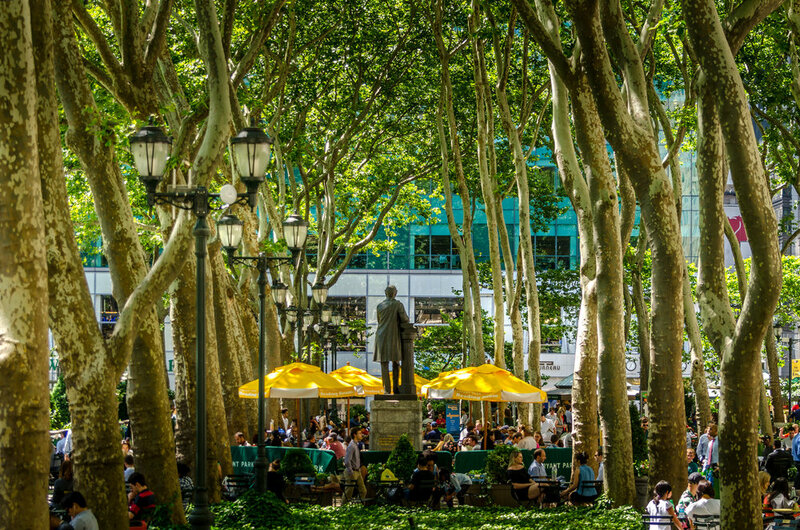 Well worth a visit, and sits right next to Bryant Park! What do you think? Got other must-do things or must-see places in NYC? Let us all know in the comments below!